Like the artist himself, “F Grass” by Ai Weiwei is complex, profound, political and humorous, with many layers of interpretation. Join the discussion during a one-day Twitter event where panelists from all walks of life and areas of specialization share their views about the work, what it means to them and the role of art in public space. The more people who participate, the better the conversation! 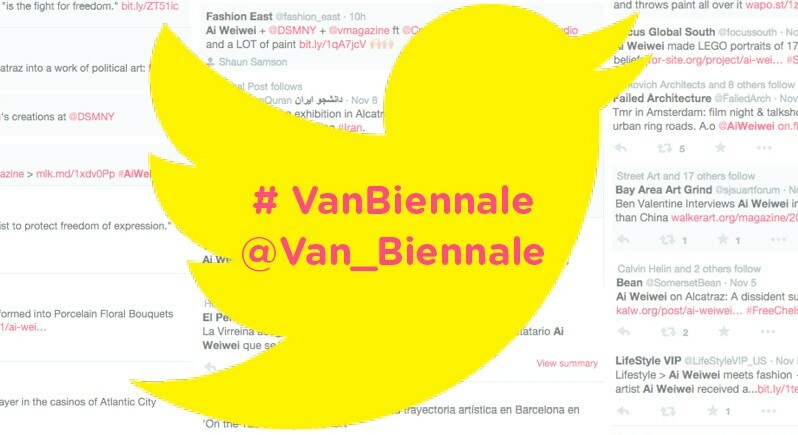 Include @van_biennale or #VBFGrass and @aiww when you tweet. Remember, if you want your tweet to be public where the tweet opens with a mention please use a . before the @.